laws passing or taking effect in Albania, Macedonia and Montenegro. 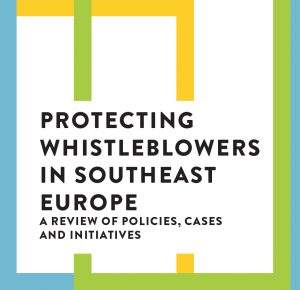 momentum to strengthening whistleblower rights. 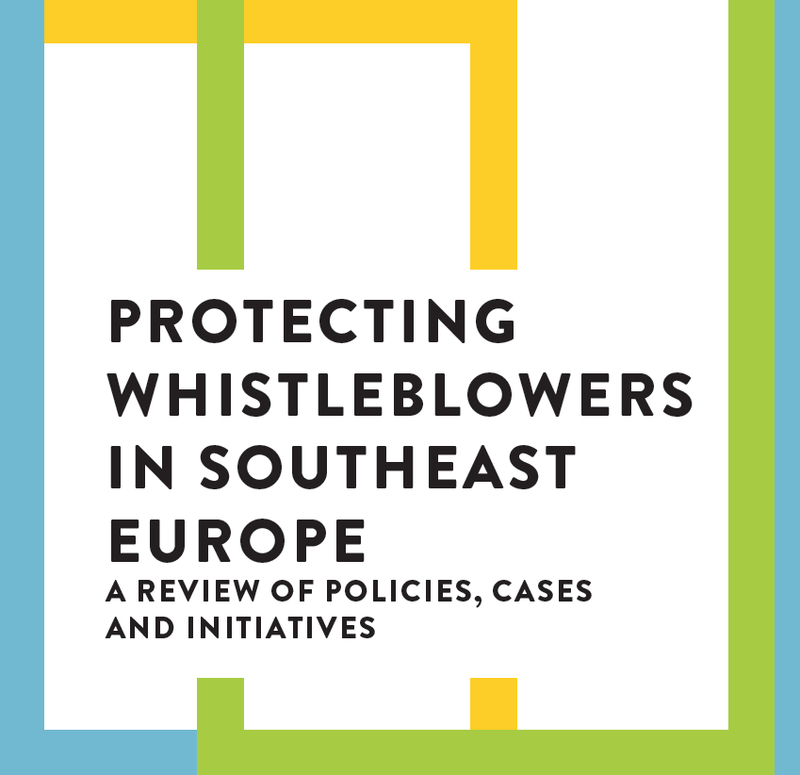 This report is being released as the Southeast Europe Coalition on Whistleblower Protection completes its second year in operation. The Coalition is comprised of more than 30 NGOs in 13 countries that receive and investigate whistleblower disclosures and complaints, advise and support whistleblowers, and advocate for stronger whistleblower laws. This report is an update of a 2015 report published by the Regional Anti-Corruption Initiative. 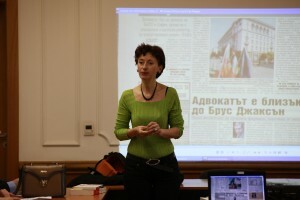 The Media Development Center is a member of the Coalition and producer of the report on Bulgaria. The only Bulgarian woman in the team of over 300 reporters from the International Consortium of Investigative Journalists who won Pulitzer for 2017 is the journalist Aleksenia Dimitrova, member of the Board of the Media Development Center. The team’s prestigious prize is for the Panama Peppers Investigation for offshore celebrity accounts. “I think when the spirit of the bottle comes out, it could hardly be taken back. In my opinion every politician or any public figure who decides to make any misuse or to hide money and taxes will be more careful from thins moment on. I have the pleasure of working with colleagues from all over the world. It was an honor for me to be part of this world journalism. All colleagues are happy that our work has been appreciated,” Alexenia Dimitrova said. On 28 and 29 March in Skopje the Macedonian Institute for Media held the regional conference “Media Literacy and Education Needs of Journalists and the Public”. 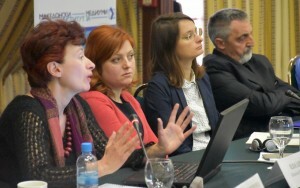 The event was organized within the framework of the project “Partnership in Southeast Europe for Media Development”, co-funded by the European Union. The conference was attended by more than 50 experts, academics, representatives of society and institutions from countries in Southeast Europe and Turkey. During the event a special study on the need for adequate education for both journalists and the public in Albania, Bosnia and Herzegovina, Macedonia, Montenegro and Serbia was presented. The project was implemented by the Center for Independent Journalism, Romania, in partnership with the Media Development Center, Bulgaria and other organizations representing the media from Albania, Bosnia and Herzegovina, Macedonia, Montenegro and Serbia. Adriana Popova and Yana Pelovska from the Media Development Center prepared the regional report “Media Literacy and Education Needs of Journalists and the Public in Albania, Bosnia-Herzegovina, Macedonia, Montenegro, Serbia” which was presented by Alexenya Dimitrova, member of the Management Board of the MDC. The participants had the opportunity to discuss results and recommendations of the report on the media literacy and educational needs of journalists and society in Albania, Bosnia and Herzegovina, Macedonia, Serbia and Montenegro. Discussions were also held on the types of journalistic education, the media literacy of the public, and the importance of freedom of speech and the media.